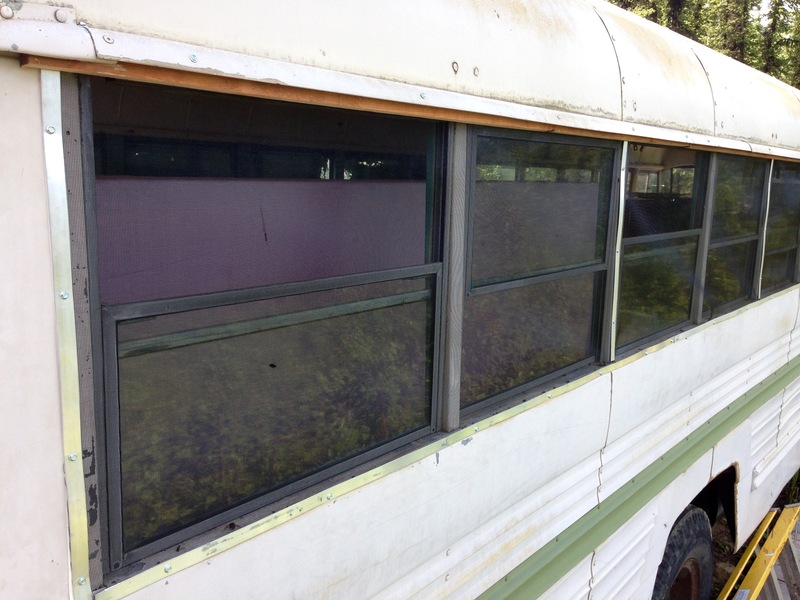 With the warm temps, and the mosquito hordes, the first thing on my list was to screen the bus windows. I ended up running 24″ charcoal, fiberglass screening down the entire length of windows, even though I suspect I will be eliminating some of the windows. It was just easier. The hard part was finding enough aluminum bar stock in Fairbanks; I hit four suppliers and not one had the exact same item. I had to pre-drill on the bus, as the self-drilling TEK screws made little headway on the 1967 metal. Kudos to Superior Coachworks; that is some solid steel. Unfortunately, there was very little to screw into above the windows, which threw a monkey wrench into my screening. I ended up taking up the space with some ripped cedar, which I could then attach through the rain channel. 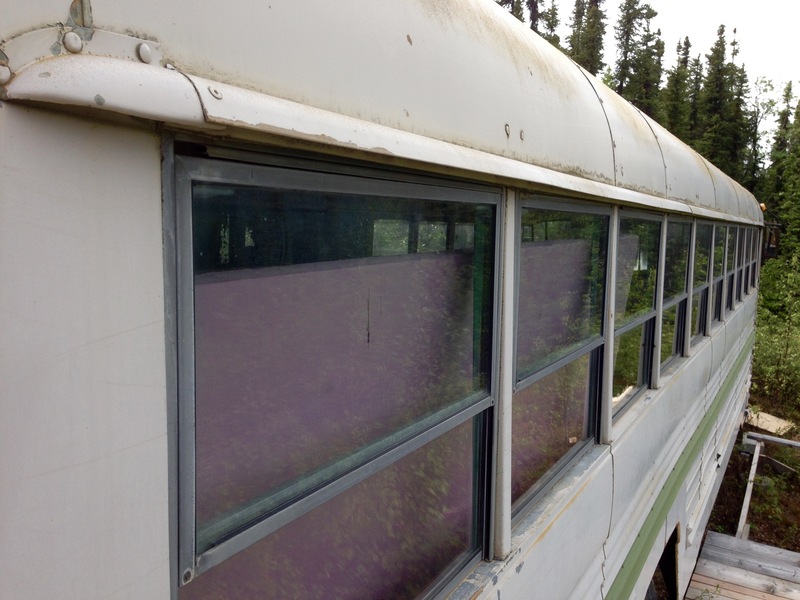 This entry was posted on Friday, June 17th, 2016 at 12:01 PM	and tagged with Alaska, camping, Fairbanks, photo, vehicle and posted in construction. You can follow any responses to this entry through the RSS 2.0 feed.